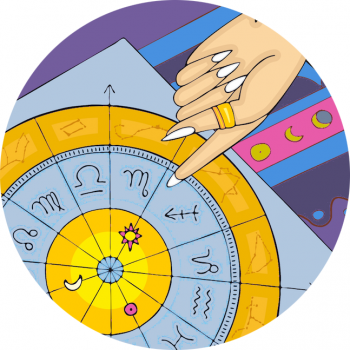 Your Guide To The Lunar Cycle – What To Do At Each Moon Phase! Awareness of the phases of the moon attunes us to the lunar cycle, and because la lune rules feminine energies and intuition, working with the moon can strengthen our natural instincts. Not all of our activities follow such a short cycle, however choosing days to launch projects, start programmes or plans can be timed with the moon to harness its benefits. Why Work With The Moon’s Phases? The start of the cycle, where it all begins. This is the best time to acknowledge goals, write a to-do list and think about what you’d like to create. It’s a time to speculate on new projects, to clarify ones intent, or make initial contact. Bring ideas into consciousness but launch a little later – wait until the First Quarter to take action. During the two weeks of the waxing Moon, Luna’s light is increasing and she’s building her form. Crescent Moon is the time to start projects and add actions to the intentions you made during the New Moon. Gather energies to help you on your way, bring new things, people and relationships into your life, energy is building. This is a time to be ambitious! Focus on really accelerating the progress of any projects you’re working on, picking up the pace sound in the knowledge of what you’re building and working towards. It is essential to make forward strides, really catch onto the abundant growing power of the moon and the momentum that’s underway. The Gibbous Moon occurs three days before the Full Moon, so we’re building up to the time of fruition and maximum energy. The moon will soon be at its peak so now is a time to be constructive, adding to what has been building for over a week. Do: Use lovely ingredients on your body as skin and hair are more absorbent. Careful of products like bleach if you’re dying hair. Full Moon Meditation: I am grateful for things I need to see that have come to light, to the projects that gave successfully come to fruition and for the momentum of the moon! From Full Moon to New Moon, the Moon’s light is decreasing. She’s losing form. This is the time to let go, release, retire. Introspection is favored, internal themes. Remove anything from your life that is no longer serving you. This might include the discarding of old habits, saying goodbye to toxic friendships, closing a business or leaving a relationship. It’s not usually considered the best time to start a project during this time, it’s more about tying up loose ends and filing things away. Post off packages! This is the second-to-last phase of the Moon, and during this time, you want to take those loose ends from the last cycle and really and truly finish up. During the time from the New Moon to now, you will have become aware of certain things in your life that could be released. The Last Quarter gives us fantastic energetic support release and break negative patterns. The moon is in its Balsamic phase for the 72 hours before New Moon. During this time it’s in its ‘dark moon’ phase of the lunar cycle, and it’s a really good window to take time out to meditate, contemplate and completely wind down. Close off, really let go and go inward. This is the most introvert stage of the cycle and privacy is paramount as you clear your head before launch into the new cycle. It’s time to get ready for the next phase, the new moon when it starts all over again! Do: Undertake practices that symbolically allow space to bring new things in – clean your house, spend some time alone. Schedule major operations, waxing or hair removal during the Balsamic Moon phase if you can, there will be less blood loss as it flows less freely and recuperation will be supported soon, by the waxing Moon. Dark Moon Meditation: I am grateful for release from the things I no longer need, for the closing of situations and relationships that no longer serve me and for the power of the universe! Biodynamic famers and gardeners grow in time with the lunar cycle, planting and fertilising with the waxing Moon, cutting, weeding, and pruning during the waning Moon. The waxing Moon energizes flowers and leaves that appear above ground, while the waning Moon nourishes the roots.